Looking for ostomy rings and ostomy seals? Allegro Medical has you covered. 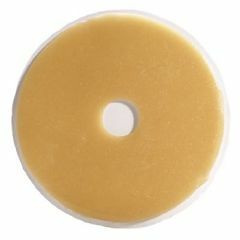 We have a range of options including Adapt barrier rings, Colly-Seel discs, adhesive two piece barrier systems, barrier washers, a range of ostomy seals, convex barrier seals, convex inserts, and more. When you want the best, and at the best prices, be sure to check out the options at AllegroMedical.com. Our Best Price Guarantee make sure you are never paying too much for your products.